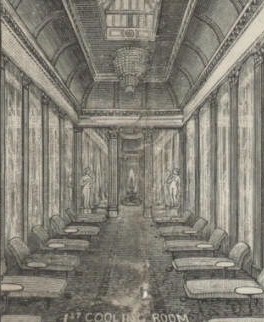 On this page, the modern photograph shows the end of the room opposite that shown in the nineteenth century image. 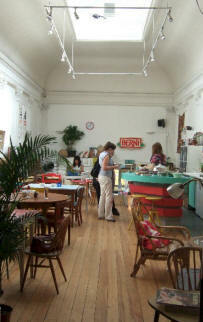 In this photo, the stairs leading down to the entrance area, which are beyond the counter, cannot be seen. 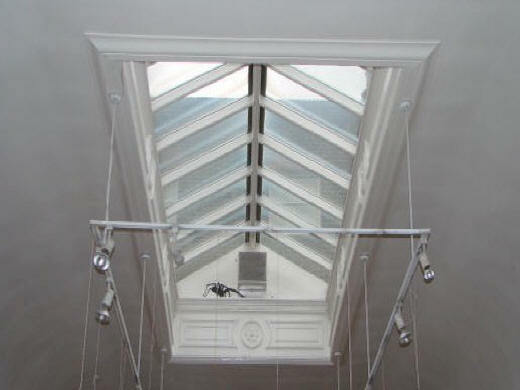 In this enlargement the skylight is seen to be in the same position as it was when originally installed. But the original small glass panes have been replaced with much larger ones, and the surrounding rounded cove between the walls and the ceiling is now without any decoration. 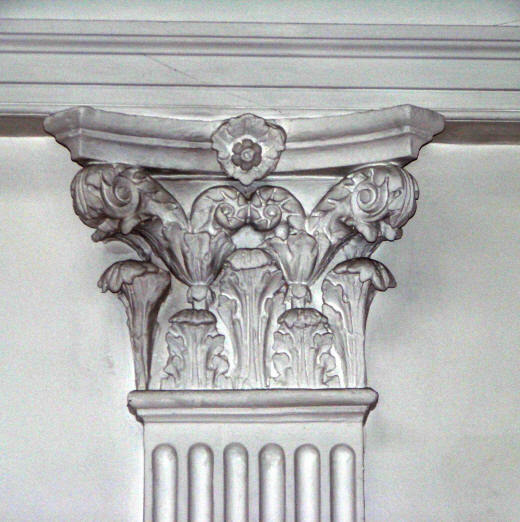 In this enlargement, the top of one of the false columns and decorated capitals is exactly as it is in the original image, and most of those remaining have survived in good condition.